Directly Front View Of White Smartphone With Map Gps Navigation.. Stock Photo, Picture And Royalty Free Image. Image 32493052. 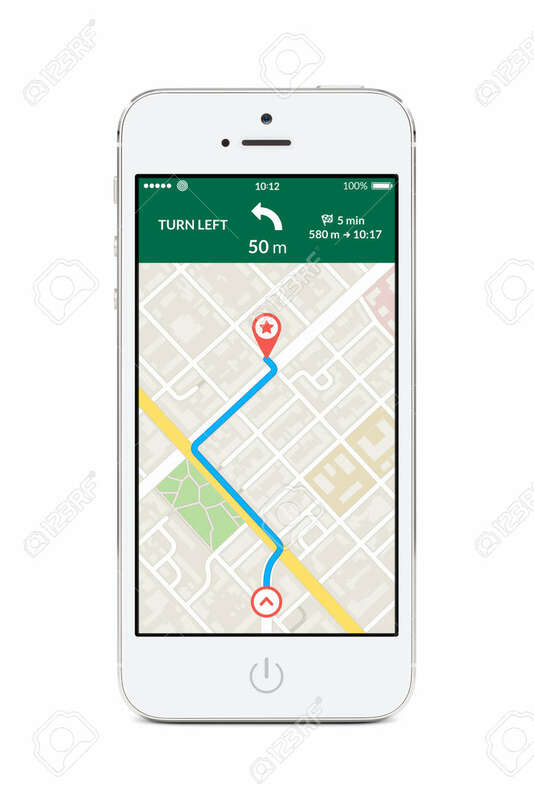 Stock Photo - Directly front view of white smartphone with map gps navigation app with planned route on the screen isolated on white background. High quality. Directly front view of white smartphone with map gps navigation app with planned route on the screen isolated on white background. High quality.